National flag carrier Philippine Airlines improved its standing over previous years at the annual Skytrax World Airline Awards but still ended up ranking a disappointing 87th place in the 2015 list of the World's Top 100 Airlines. PAL ranked 93rd in 2014 and 90th in 2013. The World Airline Awards, held this year at the Paris Airshow, are some of the most prestigious awards in the airline industry. The awards are based on votes submitted by airline passengers through an annual global passenger survey. Nearly nineteen million surveys were submitted this year by global air passengers representing approximately 160 nationalities. The Awards are considered the global benchmark for Airline Passenger Satisfaction. Philippine Airlines suffered in recent years under the mismanagement of San Miguel Corporation, which shifted the carrier from a full service legacy flag carrier to what the diversified conglomerate called a "hybrid" airline. Unfortunately, there was little to distinguish Philippine Airlines from its budget counterpart, Cebu Pacific, which did not even rank in the Top 100 list. 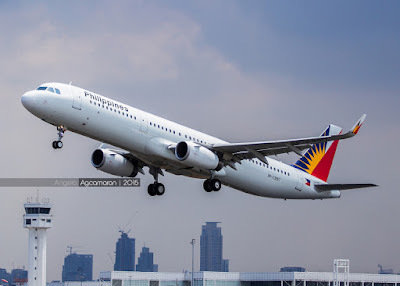 Philippine Airlines actually dropped in ranking while under the leadership of San Miguel Corporation as former PAL President Ramon Ang stripped new aircraft of basic amenities such as in-flight entertainment. Philippine Airlines also ranked well behind low cost carriers such as EasyJet, WestJet, JetBlue, AirAsia, and even AirAsia's long haul affiliate, AirAsia X. However, the news was not all bleak for Philippine carriers as AirAsia Group took top spot as the World's Best Low Cost Airline for the seventh consecutive year. It was also ranked Best Low Cost Airline in Asia. AirAsia is represented in the Philippines by its two affiliate carriers, Philippines AirAsia and AirAsia Zest. Cebu Pacific did not make the list of Top Ten Low Cost Airlines in Asia. Qatar Airways was crowned with the top spot as the World's Best Airline for 2015. Full service carriers, Singapore Airlines, Cathay Pacific Airways, Turkish Airlines, and Emirates were all ranked in the Top 5. 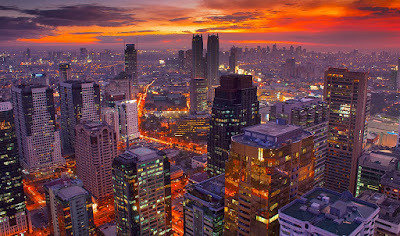 The Ninoy Aquino International Airport in Manila is served by all five of the world's top carriers. Meanwhile, Singapore Airlines, Garuda Indonesia, Cathay Pacific, and All Nippon Airways topped the list of Best Airlines in Asia. The survey results come in the midst of a change in management at Philippine Airlines as the Lucio Tan Group, led by PAL President Jaime Bautista, resumes control of the national flag carrier. It is clear that Bautista has his work cut out for him but recent announcements have assured passengers that the carrier is moving in the right direction with the goal to raise the standards of the airline to that of a world class carrier. C'mon, is anyone really shocked? At least PAL got in the top 100, Cebu Pathetic can't even make the grade in that list or the LLC list. Cebu Pathetic deserves to be in the list of the World's worst LCC. I am not surprised at all. I knew this, before this article was published. I responded also in the other article about Bautista's vision on transforming PAL. I mentioned also about Garuda indonesia as a 5-star airline now. I'm not surprised also that Garuda is one of the best airlines in Asia. Although Indonesia is not my route, as I travel more in Asia-America, I gave Garuda as an example how it was transformed. Hopefully PAL can get something from Garuda how it became a 5-star airline. Not to demean PAL, the results are not surprising at all . The rest of the world including the Middle East big 3 and of course our South East Asian neighbors including once horrible Garuda are all moving on up. The time for excuses is long over. As long as PAL feels they have a "captive market" that really has other choices, the "peude na yan" attitude without a consistent desire for true excellence at all costs will doom PAL as a Mediocre 3 star airline , ie a 3rd world toilet. When PAL should ordering/leasing more than just 2 777-300ERs, it is still hanging on to those decrepit ex-Iberia A340s. Even Vietnam Airlines gets to display their 787. As long as the PAL cabin crew training is not radically professionalized that THEY ARE THERE TO BE OF SERVICE TO THE PASSENEGERS WO ANY ATTITUDES OR CHIP ON THE SHOULDER BAGGEAGE WHICH THEY PROJECT, Then we will always be mediocre. The moniker "oldest in Asia" is meaningless if we don't learn anything and respond rapidly to changes in the world market. PAL food service on international flights (i.e. LAX to MAN) should have brought down rankings also. During San Miguel's tenure, you couldn't even get a slab of butter for your "rock-hard" dinner roll; not to mention more than a "luke-warm" SM Pilsen. On our last flight (after San Miguel bowed out), the food still sucked; still no butter; more luke-warm cerveza. Bautista better get busy before I decide on another alternative for my next trip !!!!!!! I wonder how many in those 'top 100 airlines' are actually making money? No wonder, last week's article focused on Bautista's desire to make PAL a world-class airline! You guys are terrific but terrible journalists too! What's next here? PAL to be top 30, at least? Really, a captive market is what PAL will continue to handle and hurdle ....and beware! Vietnam Airlines is even surprising and surpassing PAL in terms of financial and performance growth. The last 25 years or so, the Vietnamese market was dominated by PAL and Thai International air carriers but as shift in economy and political situation has been remarkable (Vietnam was over), I would not be surprised if Pinoys from North America will soon be flying Vietnam Airlines also. Remember thirty years ago when Korean Air offered the lowest air fare (LAX to MNL) from the Western USA market? Now KE can command its air fares without the fear of low load factor. Why? Because many southeast Asian passengers have been "addicted" with KE's excellent services and amenities. What are we going to do now Bautista? Very soon, other airlines will come out from the likes of Campuchea, Laos and other would-be "tiger" countries west of the Philippines! PAL, it's a rat race there! If Vietnam Air offers half of PAL's Y fare from LAX to MNL, I would not hesitate to extend my flying time for extra 3 hours! Vietnam Airlines' A350 long haul planes start delivery this month of June, 2015. It has purchased 14 A350s. Once the aircrafts are in, It will end its code-share services with several airlines which fly to the USA. EVA air is taking a big share of Pinoys flying from Toronto to Manila. Not only that they are the cheapest most of the time, they use a 777 that has 9 abreast on the Toronto/Taipei route. If PAL wants to compete with the Top Airline Companies, PAL needs to double check/change their Philosophy, Vision, and Mission to set standards that is high above the rest to achieve excellence. If PAL wants to lure more foreign passengers they need to change their livery. A livery that coincides with a culture of fun, exciting, sophisticated, wealthy, and proud, and once onboard, let the passengers experience genuine, excellent, hospitable service with a smile. This is just an opinion, I will always fly with PAL because I want to support our own. Something to think about: Most passengers take air travel as an experience and pride, if passengers don't feel proud and felt the pride they won't return to try it again. PAL caters majority of its passengers to our Kababayans, but top airline companies caters to foreign passengers and its locals. I have no data to support this claim, only based on experience, but what do you think? I fly from Philippines to London and Perth each 5-6 times a year mostly Cathay business class but I often fly Cebu/Manila and sometimes other domestic routes with Philippine Airlines. I am generally impressed with seemingly quite new aircraft, mostly A321s and A330s. What occurs to me though is that Philippines Airlines' image may be unfairly tarnished by the delays caused an Manila International airport and these happen outbound and inbound (inbound when Manila cannot receive the aircraft yet). Generally, International flights to/from Manila are less affected but if rankings take account of domestic flights and time keeping is an obvious factor then Philippine airlines then it follows that Philippine Airlines is disadvantaged by the outrageous delays frequently caused by the airport's operating above its capacity and even that's exacerbated by occasional temporary closures for departing and arriving VIPs! 5-6 times a year......ehem..eh d WOW!! Cebu Pathetic, Very appropriately named as a few reviewers here have called it. I have travelled all over the world on various airlines some low cost & I have never experienced anything like this. If there was an award for the worst airline in the world Cebu Pacific would get the top prize. The staff in Cebu Pacific are really friendly & the planes are mostly new but that's about the only positive thing I can say about Cebu Pacific. & onward connections into chaos. I have had approx 20 or more Cebu Pacific domestic flights within the Philippines & many Sydney Manila flights. They are always late, never take off on time ever so you can be sure you will always arrive late at your destination. That is of course assuming that they have not cancelled the flight at the last minute. of passengers in the line up waiting to check in but half the counters unattended while 7/8 or maybe 10 check in agents standing around at one end chatting. I can accept the cheap plastic seats & lack of entertainment on board as it's a budget airline. What is also annoying is the silly games they play in flight. Seriously, I cannot understand why this airline is still in business & not gone bankrupt. The problem starts at the top with the leadership. The low customer satisfaction rate tells the story. Cebu Pacific are not even ranked in the world's top 100 airlines. Complaint after complaint going back years yet the CEO Lance Y. Gokongwei has done nothing to fix this. An airline is a service business that depends on customer loyalty & in the long run cannot survive without providing good service. This guy Gokongwei should hang his head in shame. He should be fired & an international CEO with airline experience brought in to turn the airline around. Until this happens its unlikely that anything will ever improve at Cebu Pacific.